Nobody does “haunted dancefloor” like Martin Jenkins, aka Pye Corner Audio. His icy, beat-driven synthscapes have become one of Ghost Box’s most reliably definitive sounds, and the reference point here is his 2016 long-player Stasis. For label co-head Jim Jupp that release “played with notions of outward cosmic exploration and the idea of suspended animation and sleep”. Conceived as its sequel, Hollow Earth instead journeys inwards, to a subterranea of submerged psychologies. And boy do those thought patterns captivate. The title track’s majestic splendour summons Phaedra-era Tangerine Dream, with its grandiose, nuanced dystopian vision; unsettling yet also brilliantly propulsive, while the gothic futurism of Subterranean Lakes conjures the sunless sea of Coleridge’s Kubla Khan and its vast, epic-melancholy fantasy. The Seventh Labyrinth is perhaps the standout, encapsulating the sense of filmic awe and wonder the album sustains throughout, as it reveals a just-out-of-reach netherworld peopled by urbane spectres. Superb. Master of haunted electronica journeys to the centre of your mind. Prog has traditionally been afraid to dance, but it needn’t be that way. Ever since the first big techno wave hit in the early 90s, artists such as The Orb, Future Sound Of London and Underworld have been just as interested in feeding the head as moving feet. 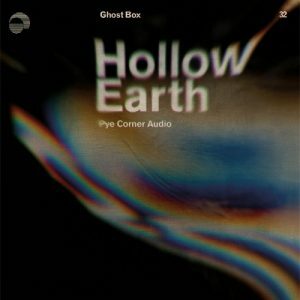 Pye Corner Audio is the latest in a long line of electronic psychonauts intent on using their music to deep dive into the backbrain, with Hollow Earth presented as a subterranean concept album, a hypnotic descent into the planet’s id. The PCA sound sits squarely in the haunted dancehall of the Ghost Box universe, full of gorgeous pulsating arpeggios and abstract tonal intrusions, memory-triggering and impressionistic. The title track is a shimmer of heavenly chords and rumbling bass stabs, its hypnotic melody like a flame fluttering in the darkness. Mindshaft revives the ghost of hard trance, but swathed in Tangs-style Teutonic grandeur. Dancing Shadows features an alien choir of synths and some great Rick Wright-esque arabesques, while Buried Memories locates the disco. only it’s 10 miles underground in a quartz-lined cavern. This is cinematic progtronica, a perfect “sense of wonder” soundtrack. Reviews of Martin Jenkins’ previous work as Pye Corner Audio have noted the “submerged” feel of his soundworld, and on Hollow Earth The Head Technician has evidently really run with the idea – indeed, some of the synthesiser sounds do appear to be emanating from underwater. It’s a familiar palette for long-time fans; Vangelis-y synths and fizzy drum machines, and an obvious love for an arpeggiator or two. But Jenkins’ arrangements are noteworthy for their sophistication, somehow avoiding the repetitive grid-like effect of much sequenced electronic music. This LP, which could easily be the soundtrack of any number of imaginary European science fiction shows, is possibly PCA’s most accessible work yet, while still retaining atmosphere in spades. If Hollow Earth is too mature a recording to be charmingly naïve, it nevertheless feels like the work of a man in love with the brilliantly murky depths of electronica and synthesis. Ghost Box’s stock in trade is a sort of pastoral English ambient music, shot through with the eerie disquiet of the ’70s public information film. Hollow Earth, the latest from Martin Jenkins’ long-running Pye Corner Audio project, takes a somewhat different approach. A sort of Jules Verne-style voyage into the imagined subterranea of our planet, Prismatic Gateway and The Seventh Labyrinth find Jenkins exploring a sort of shadowy cosmic music, characterised by bubbling synth arpeggios, gauzy textures and occasional pulsing drum machines that gesture towards some distant dancefloor. If not quite groundbreaking, it’s at least beautifully done, and in lieu of a new Boards Of Canada album will do just fine. Fans of timeless sounding electronica are in for a treat this month with the eagerly anticipated return of Pye Corner Audio. Hollow Earth is out now on UK label Ghost Box and finds Martin Jenkins conjuring fifteen deep electronic masterpieces where traces of house, techno, dub and ambiance merge. Conceived as a sequel of sorts to the spectral pulse of Stasis, Hollow Earth, according to the press notes “takes subterranean exploration and submerged psychologies as its theme”. The title track gets things off to a divine start, mournful synths merging with spacious atmospherics and evocative melodies to create a song which should be soundtracking a moment of wonder too beautiful to put into words. Next, “Descent” adds a slightly ominous air to proceedings, its tension offset by a gentle melody line. Other highlights include the spine-tingling Italo house groove of “Mindshaft”, the hauntingly beautiful ambiance of Imprisoned Splendour, the slow-paced squelch of “The Seventh Labyrinth”, and the elastic synth pulse of “Buried Memories”. Spellbinding from beginning to end, Hollow Earth is nothing short of sublime. 10/10. Pye Corner Audio is music to retreat into. That Hollow Earth literalises that retreat into a fully realised narrative descent makes it all the more appealing. A conceptual continuation from previous Ghost Box album Stasis, here the sleepers awake from chambers in a deep space transport only to find themselves submerged in sensory deprivation tanks; their eyes open upon primordial pasts rather than distant futures. I first encountered Martin Jenkins’s Pye Corner Audio back in 2012, with Black Mill Tapes Vol. 3 as my gateway drug. What I didn’t realise then – and which is painfully obvious in retrospect – was that I was going through a prolonged period of depression. The haunted sounds of Pye Corner Audio and others provided a lifeline of sorts, although I didn’t understand at the time that I needed to hold on to anything. It was the immersive, darkly cinematic quality of Pye Corner’s music that pulled me in. That Jenkins held up a broken to mirror to the techno I listened to as a teenager in the 1990s hardwired the sounds to my past, present and future. Perhaps with a little more self-awareness I would have sought out more obviously joyful music (although to be fair I was also listening to Belbury Poly’s Belbury Tales, whose shadows are at least under daylight), but I don’t think so. I suspect it has to do with the idea that the unheimlich is perfectly fitting under such psychological conditions. If the home is no longer a place of retreat for the self then maybe that is when the un-home may provide temporary residence. Pye Corner Audio is never about comfort – although the thought that Sleep Games is my five-year-old’s favourite album is strangely comforting – but listening to Hollow Earth does feel like coming home to an unfamiliar place. The sonic world building of the album is apparent from the opening title track. Like the shifts between (un)realities in David Cronenberg’s Existenz you are here in the quotidian / then you are there in the elsewhere. This particular elsewhere is a dancefloor at the edge of time, the rising and falling synths making you feel alone in a crowded room. “Descent” is where the mission begins: psychonauts clamber into metallic chambers which are released down into the earth, physical journey and lucid dreaming occurring simultaneously. The vocodered voice is urgent in a way that suggests a counterpoint with “Lost Ways” from Stasis. After that it’s into the shadows and through arterial corridors, treading lightly so as not to slip away into the inky dark. Then “Mindshaft” lands and it’s as if thousands of lights have been switched on at once and a vast alien cavern populated with temporary man-made structures is illuminated. “Mindshaft” is a pure expression of early house music, as if made out of air and filtered through Pye Corner Audio interiority. It soars underneath its own surfaces, demands repeat immersion and is up there with the finest Pye Corner Audio transmissions. “Imprisoned Splendour” is beautiful subterranean electronica, suggesting that desolate Ballardian playgrounds also exist near the planetary core. Meanwhile, the slow throb of “The Seventh Labyrinth” shows that sensuality isn’t absent in the great underneath. It’s difficult to break tracks away from the implied narrative and examine them under the microscope. The album flows like underground rivers or a mycelium network, each and every pathway beckoning to be explored in(de)finitely. The icy SF of “Buried Memories” points towards the synth majesty of “Surfacing” which slowly and inexorably uplifts into ellipsis. Hollow Earth is ripe with dark potentiality, although that’s not to suggest it’s a wholly dark journey. There’s a Space Age optimism that runs through its core, an open curiosity in the potential of sound and music to affect. The interiors of the album are vast and intimate. Abandoned cities as in Lovecraft’s At the Mountains of Madness, but rendered in Brutalist lines instead of cyclopean shapes. The room at the end of Kubrick’s 2001, with time collapsed and cosmic renewal made possible within an individual. Pye Corner Audio plays with scale and disguises hope within shadows. That Hollow Earth does all these things and more marks it out as a future classic.